The Luxembourg-based group ADEPA is pleased to announce the launch of its operations in the Spanish market, and will offer innovative asset-servicing solutions to clients out of its two newly established offices in Madrid and Bilbao. The initiative aims to improve and extend the range of services to Spanish asset managers and financial institutions, both for UCITS and alternative vehicles. As part of its expansion in Spain, the Group has incorporated a branch of its management company and AIFM – Adepa Asset Management S.A. – duly authorized by the Luxembourg regulator, the CSSF, and the Spanish one, the CNMV. 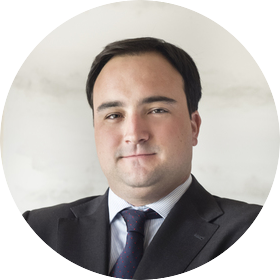 Mr. Borja Sancho has been entrusted with the task of managing the new branch from Madrid and driving the development of the firm in Spain. “After five years in Luxembourg within ADEPA Asset Management SA, I am delighted to open our branch in Spain. As an important area for many of our clients – it is essential for us to expand our range of services in order to better champion the interests of our partners. 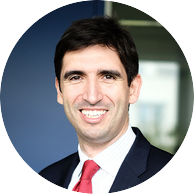 The new branch will allow the group to consolidate relationships with its existing counterparts giving them quick access to the full array of services and, at the same time, broaden the portfolio of clients in the Spanish market” explained Borja Sancho. Adepa has also launched a fund administration service for funds domiciled in Spain – under the name of ADEPA Asset Servicing Spain S.L. The new business line is based in Bilbao and has been registered, before the CNMV, in the special register of external experts performing valuation and NAV calculation. “The newly launched branch and fund administration business demonstrate our commitment to provide excellence in service to the Spanish market.Over the years we have established a pioneering service package developed in Luxembourg – the leading center for investment funds worldwide. This initiative is complemented through our successful group operations in Italy and also by the recently opened subsidiary in Chile. We are thrilled to announce that all our accumulated expertise and our whole set of capabilities is now completely available to the Spanish fund industry”.